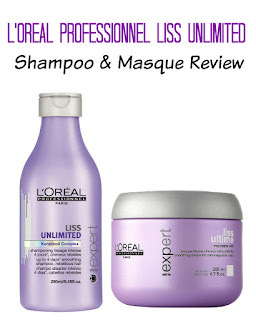 I am back with yet another review and today, I'm gonna review L'Oreal Professionnel Liss Unlimited Shampoo and Smoothing Masque. 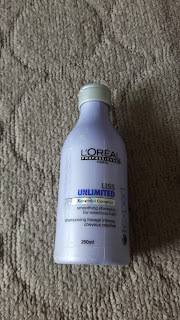 I have been using L'Oreal Professionnel's products for a couple of years now. Having bouncy-wavy hair I always used to wish to have straight hair and to achieve that I have done hair smoothing treatments twice (2013 and then again in 2015 at L'Oreal's Salon in India). So, when I did my first smoothing treatment, I was told to use this range to make sure treatment last bit longer. 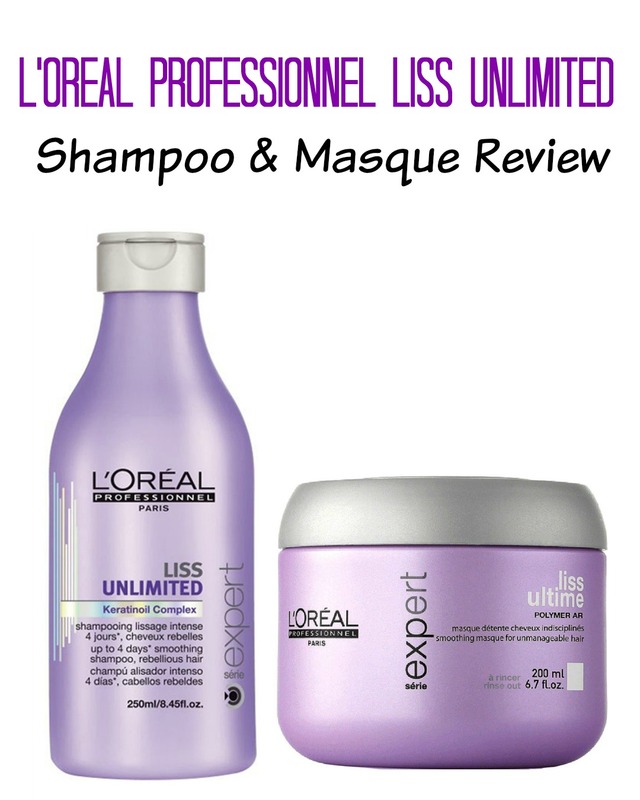 Since then, I have been using L'Oreal Professionnel Liss Unlimited Shampoo along with Masque quite often. I usually alternate in between some of my favorite hair brands like; Dove, L'Oreal, TRESemme, Pantene, Essential and bunch of other drugstore brands which I love. Claims: The Oil Incel Technology is packed with the richness of argan oil and olive oil to give ultimate moisturization while the Polymer AR technology combats excess hair humidity. The Polytensium technology which cleverly mimics the hair's lost ceramides to give long lasting, defined smoothness. My Experience: It work wonders on very rebellious and frizzy hair that actually needs to be tamed down. If you have oily hair just make sure to use any other shampoo along with it or before applying this one. I have rebellious hair and this shampoo makes my hair bit smoother and shinier. 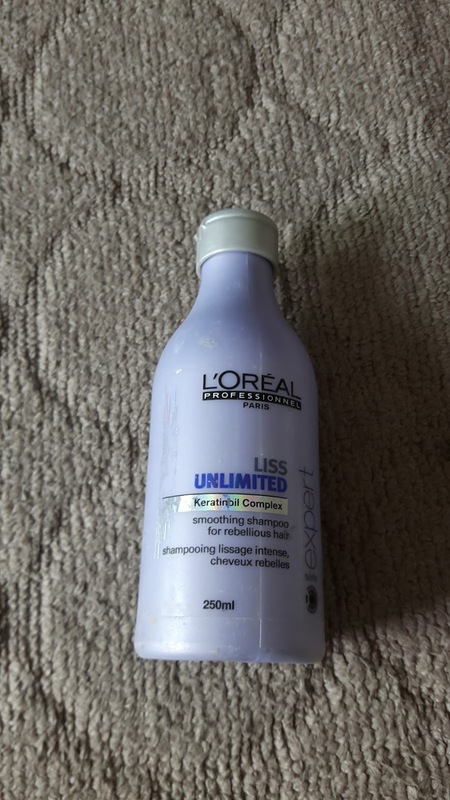 Smell: I loved the smell of L'Oreal Professionel Shampoo as well as masque. It stays on my hair for a longer time than any other brand. The shampoo has a refreshing and subtle floral smell. Texture: Coming to the texture of the shampoo, its consistency is slightly thick and creamy. It does not lather up like other shampoos, but will clean your hair nicely. Price is bit high than other drugstore shampoos. My Experience: This masque takes on the dual role of conditioning and nourishing and weighs down my hair a big time which is a big plus for me. The shampoo alone does not give the same result as the shampoo and mask together. So, for best result use the shampoo and masque together, it is pure bliss for dry and frizzy hair. Smell: The smell of the masque is the same as the shampoo and I totally love that fragrance. Texture Of the Masque: the consistency of this masque is slightly thicker than the usual conditioners and a little amount of masque will go long way. So, don't go overboard with the amount other wise you will ended up with greasy hair. How to Use Masque: Apply the mask after shampooing your hair. It is mentioned in the description that you have to apply this masque from the middle to the ends(*Note: Do not apply it to the scalp). Leave it on for 10 minutes and then rinse off with water. It will leave your hair well moisturized and make it look healthy. Enhances shine and makes hair more manageable. Nourishes, Smooths and Protects your hair against humidity. Easily available at any L'Oreal Salons and online websites worldwide. 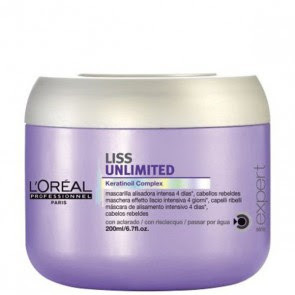 Bit expensive than other drugstore hair masks or conditioners. I love both of the products and recommend both to get maximum benefit. This treatment weighs down hair big time. So, if you have extremely voluminous hair this duo is perfect option for you. It will leave your hair soft, shiny and will make them humid-proof. What else we want right? Would I Recommend it to other people? Yes, I would totally recommend this range to all my readers who has voluminous or very frizzy or curly hair. *For Best Results use masque & shampoo together they works wonders.